DID YOU KNOW THAT DEAN BURNETTI LAW HAS ITS VERY OWN CHARITABLE FOUNDATION? 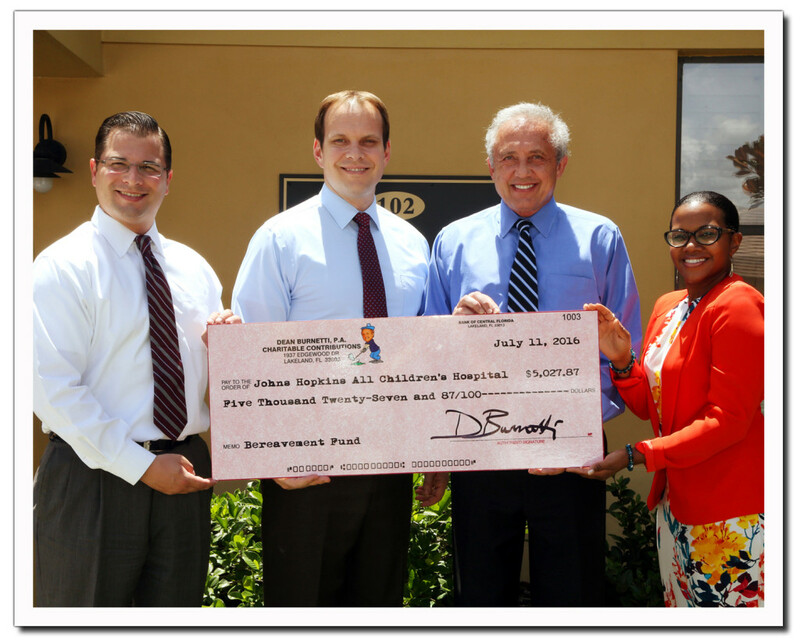 In 2016, prior to forming the Foundation, Dean Burnetti Law raised over $5,000 which it donated to the Bereavement Fund at All Children’s Hospital. It’s Dean’s philosophy that many people will have concern for and donate to the worthy cause of healing sick children, but too often, once a sick child passes away, people move on to help the next sick child, and they never realize the emotional despair and even financial ruin left in the wake of that child’s illness, often leaving no money with which their family can even give them a proper burial. 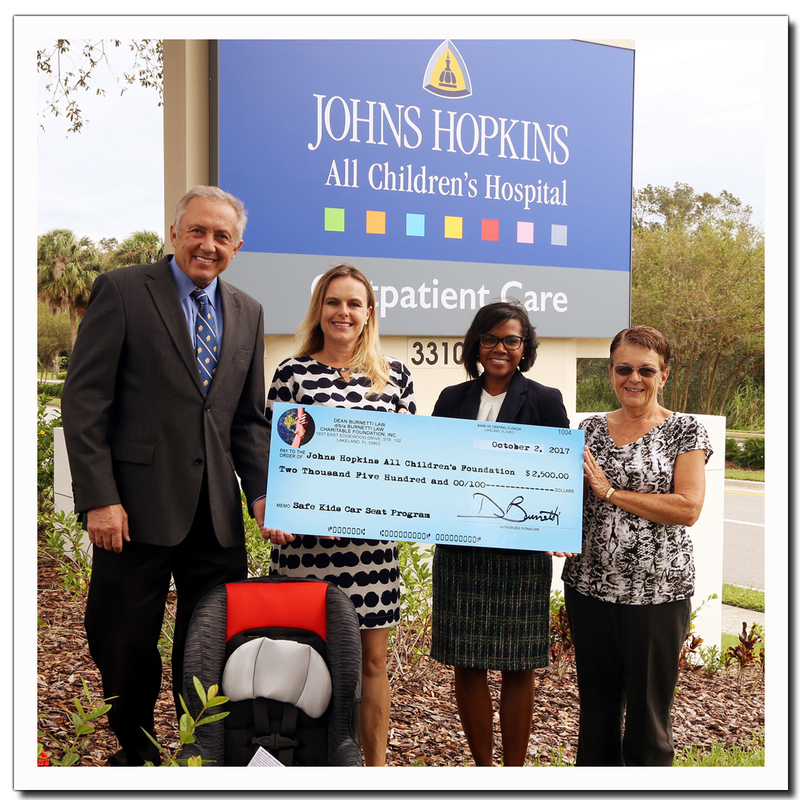 In 2017, under the Foundation umbrella, Dean Burnetti Law again raised and donated over $5,000 to the All Children’s Hospital Bereavement Fund. In the same year, the Foundation donated $2,500 to All Children’s Safe Kids Car Seat program which will defer the costs of 125 car seats to needy families. 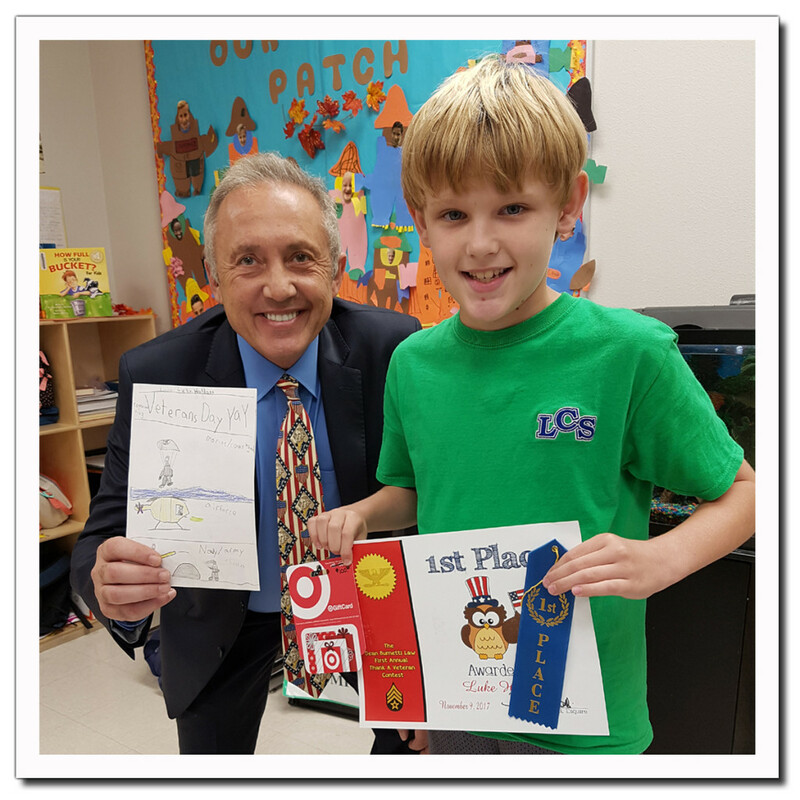 Additionally, in 2017, The Dean Burnetti Law Charitable Foundation hosted a contest for school children to make cards for Veterans Day (which provided 216 cards to hospitalized veterans), gave away fully cooked turkey dinners for Thanksgiving, and started a $1,000 college scholarship fund. Our goal is to find even more families or individuals who could use a hand up in 2018 and offer them assistance.